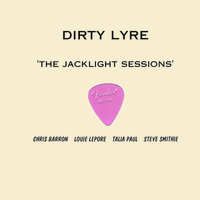 The production concept behind these recordings was simple: use two basic microphones, from a distance, to capture the natural acoustics of the Jacklight Gallery, where the sessions took place. The result is a very stark and honest reproduction of each artist's performance in the space. You can hear traffic and other noises from 7th street on some of the tracks. No reverb was used in the mixing or mastering. Mixed was done by Steef Van De Gevel at the famous Electric Ladyland Studios in Manhattan.